What a good time in Salt Lake City. When I told people that I was there for a conference on technology and spirituality, they would all (every last one of them) pause and ask “technology and spirituality?”…as if the two will never have to collide and either, merge well, or battle for dominance in the ages to come. All I see are battles…..lol….. as technological progression and incentives to be rational modify societies naive inability to question well. The kinds of polar opposites that technology and spirituality create are what excite and scare simultaneously; at some point the rift between the two will come to a head….I’d like to prevent people on both sides from losing theirs (heads that is). This pic is a snap shot of my presentation at the University of Utah on the phenomenological impossibility for spiritual understanding to create pervasive harmonies within the cognitively elite species (modern and post human species). 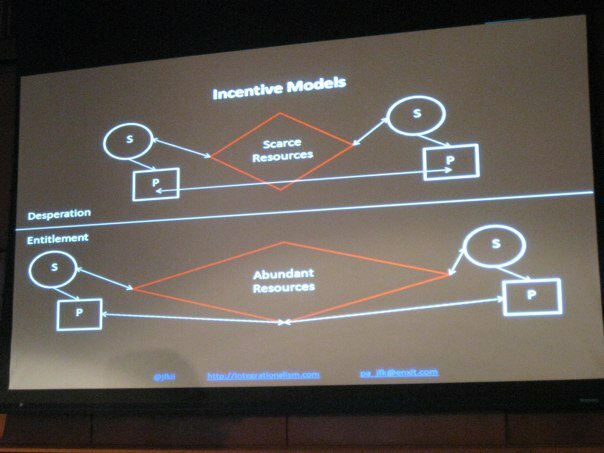 Without wasting space writing about why and how I think that this argument is important (hopefully its obvious) I’ll just dig into the diagram titled incentive model. The ‘S’ represents a spirit (or Souls) and the ‘P’ represents a physical being (or People). The red diamond represents resources of sorts. The top is a representation of scarce resources and the bottom is a representation of relatively abundant resources. this rationale will be elaborated on much more in my book scheduled for 2011…but can be understood in the Dubai vs Duba scenario of the book that I released this past July 2010. During my talk in Utah I stated that the value proposition of spirituality was plainly, to “connect people”. I saw that the Mormon, Christian, and Other attendance agreed through a series of tweets on the topic at #ts2010. Regarding Integrationalism and how it relates to Transhumanism, I am chiefly concerned with how we pursue connecting people in the future. So we all have the same mission, but I’m not optimistic about the potential of the current spiritual strategies that we are employing to achieve the value proposition. In my previous book I elaborate on how spirituality is a direct spawn of individualism; and further, how it is a parent of unavoidable ideas such as elitism, entitlements, and protectionism…of course there are more, but these are chiefly important when considering how or if human kind will interact well; and further, connect. 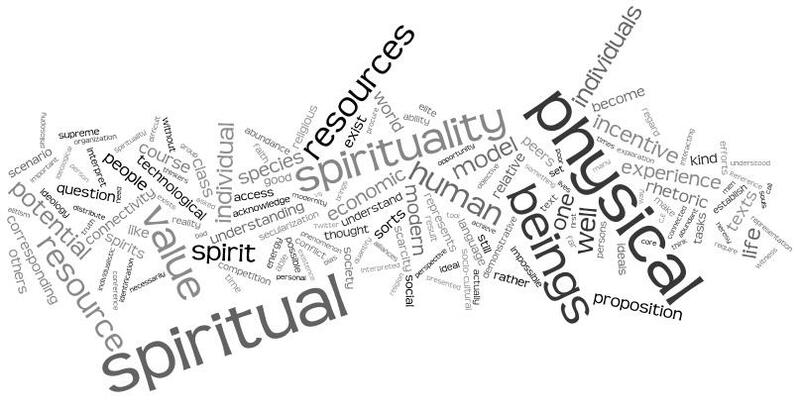 Regarding abundance and the lower portion of the pic above, spirituality also has significant impact on the sociological understanding of individuals relative to their surrounding society. Under all spiritual beliefs the individual has the potential to become favored, favoured, blessed, enlightened, etc…the jargon depends on the spiritual system and cultural adoption…but the understanding is pervasive: All ‘P’ with ‘S’ counterparts have the potential to become -special- to sum it up in one word. I deal that is, special, provides some (or much, in a technologically miniscule setting) potential for a disproportionate allocation of resources to the anointed ‘P’. Hence, ‘P’ interacts indirectly with its competitor in the diagram to procure….more. ‘S’, incentivizes the individual’s ability to become omni-selfish at some point depending on intellectual ability, socio-cultural status, and/or economic reality. Technology’s ability to help us quantify, interpret, and distribute resources of sorts will be crucial in human kind’s pursuit of an actual civil society. Peace, is not a phenomenon that human kind will achieve without its technological-extensions as I’ve called them in the past. 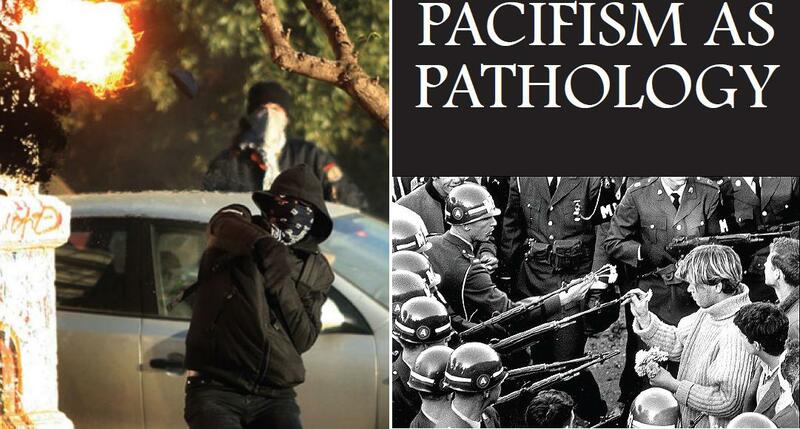 Perhaps the evolution that will proceed a physical metamorphosis of human kind will be an ideological metamorphosis, from that of divided survivalists to an understandingly connected group of highly rational beings; pursuing protection of like life-forces as the supreme priority. “Were all virgins to the joys of Loving without fear” – Janelle Monae.